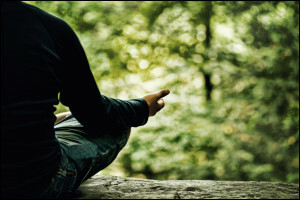 This article is, of course, meaningless if meditation is not for you. Come back if it is! 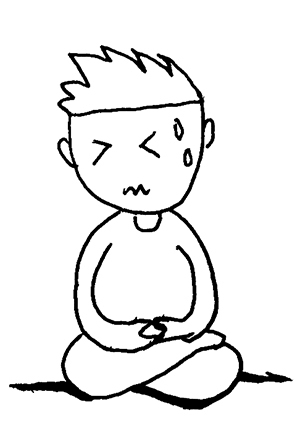 When I first started out, meditation was brutal. Sitting still for one minute without doing anything - not reading, not sleeping, not brainstorming my next project - had me writhing and yowling like a dog being left behind. Now, incredibly, it's a beautiful part of my day and I really miss what it does for me if I skip it. While there's no magic trick for completely getting around the initial squirming, here's a beginner's guide that has worked well for many of my clients. What's With the Awkward "The"
I should start by clarify one of the language bits that really irritated me when I first started reading these kinds of instructions. What's with the awkward "the"? Why "the breath" and "the body"? Aren't they mine? This sounded really hippie to me. As it turns out, there is method in the message. While this won't make as much sense now, you'll want to start thinking about your breath as independent of you. It's just there, like your body, doing its thing. Without going too far into this now, eventually you will begin to have the experience of being purely an observer, even to the point of being able to separate from and observe your own behaviors. This is one of the really powerful things that meditation begins to shift: your ability to observe and change old patterns and habits as they happen. Sound even weirder now? Don't sweat it. It's not as nutty as it sounds and will make sense in time and with experience. For now just know that there is a reason for the odd language around the practice. Sit comfortably. Eventually you will find that sitting upright and physically unsupported can really improve your practice. 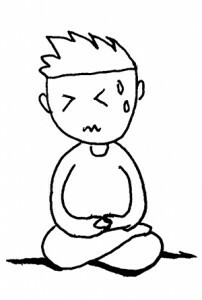 For beginners, however, I find that any physical discomfort whatsoever is a great way to associate meditation with pain and yet another reason to avoid it each day. Go ahead and sit back in a chair, lay down, hang upside down or whatever supports your being able to do the practice each day. 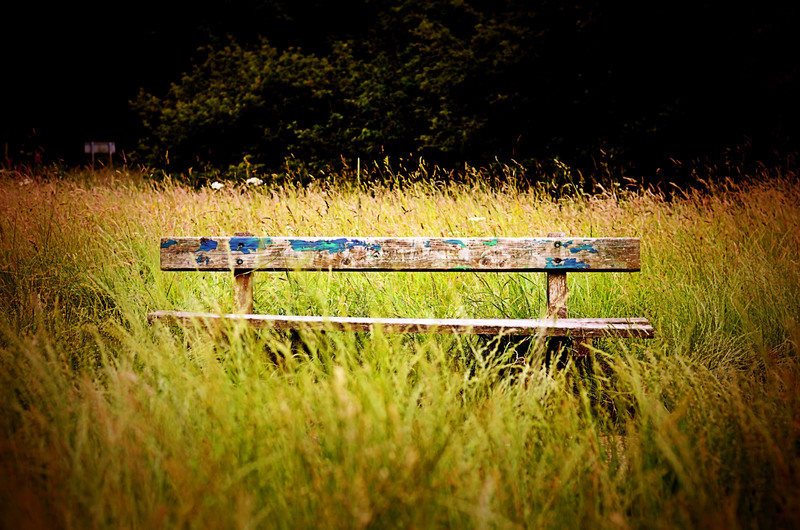 From where you sit or rest leave your eyes halfway open with a relaxed focus, looking down at roughly at 45 degree angle. Take a few moments to settle in and just notice whatever is being experienced in the moment - sounds, physical sensations, thoughts, feelings - without trying to do anything about it. Just allow yourself to arrive. Now bring attention to the breath. Simply notice the breath as it moves in and out as the body inhales and exhales. Notice how it moves in and out effortlessly like it has for all of your life. There is no need to manipulate it in any way. Notice all of the details of the experience of breathing: the feeling of the air moving in and out of the nose, the way the body moves, etc. When starting out, it can be helpful to choose a more specific point of focus. Perhaps it's the breath moving in and out of the nose. Perhaps it's the belly rising and falling. Here is the secret: meditation isn't really about focusing on the breath - it's about coming back to the breath. For the first twenty to thirty years, the mind will wander away from the breath. This is part of meditation, and is still part of the process for really experienced meditators. 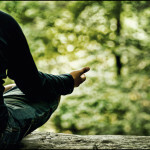 In fact, here is the secret: meditation isn't really about focusing on the breath - it's about coming back to the breath. It's like any kind of training, working that return until it's smooth and effortless. When you notice that you are no longer observing the breath, just return to it. Notice that any time you spend kicking yourself for letting your mind wander is just more time spent not returning to the breath! Over time it gets easier and easier to go directly from noticing that you are thinking about the future of building materials in Afghanistan or your next meal to simply observing the breath once again. Let all of your experiences, thoughts, emotions, and bodily sensations come and go in the background of awareness of the breath. Notice how they come and go effortlessly like the breath. Over time you will become increasingly aware of the habits of the mind. You will see how it resists certain experiences and tries to hold onto others. The natural settling down of the mind allows you to notice these underlying habits and creates the opportunity to let them go. If you experience resistance to what is occurring, an attempt to change what is happening, or a tendency to hold on to some experience - notice it and let it go. You might already see how this part of the practice becomes directly applicable to the everyday. It is easy to spend the whole time worrying about whether you are "done yet". "Should I check the clock? I'm sure it's been an hour. I'd better check it again." These worries, too, are perfectly natural and a part of the process. However, it is useful to set a timer so that you can focus on being with your breath. 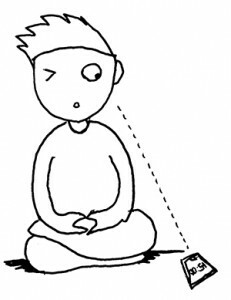 There are quite a few free meditation timers available for smart phones. Currently I am using an iPhone app called Insight Timer. And yes, for a while you'll now think, "did I really press start? Did I turn the volume up?" This is one of the advantages of Insight Timer: it gives you a minute to settle in and then chimes at you so you know that it's started and the audio works. Move the phone out of view and just get to it. When you hear the chime, let yourself focus on the tone until the sound of it has completely vanished. Allow the starting chime to bring you into the meditation. With the closing chime, follow it all the way to its conclusion and then gently return from your meditation. Don't forget to turn off your cell phone or put it in Airplane Mode before you begin so that you aren't disturbed by exciting text messages about a new flavor of Cheesy Poofs. Like any practice, from exercise to learning to juggle, it may on any given day seem like nothing is happening, like you've sprung forth a champion or like you've regressed in a tantrum. Like brushing your teeth, the only thing that matters is doing it consistently. It is important to remember that your opinion of your practice has no effect whatsoever on the effectivity of your practice. 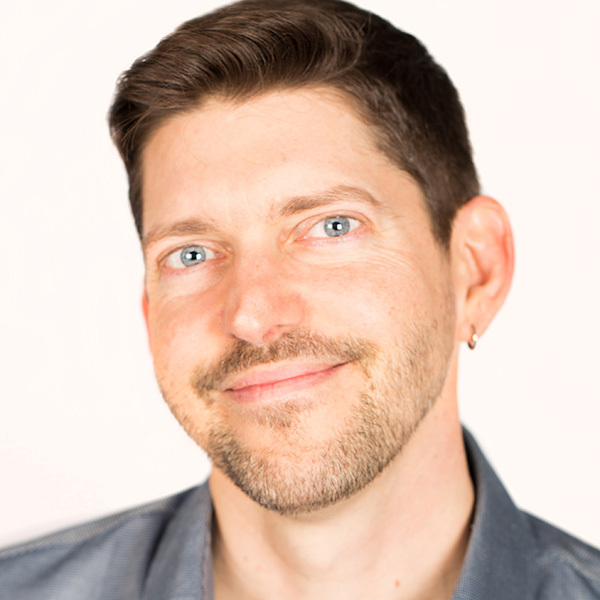 Kai is a certified Integral Coach® and graduate of Hakomi Mindful Somatic Psychology, where he has served as lead assistant for trainings in the San Francisco Bay Area. He brings his coaching, psychology, mindfulness and 20+ years of tech experience to help leaders in both the tech and nonprofit spaces develop practical, powerful skills.